It sounds like an oxymoron, but the new Chevrolet Sonic is a really good General Motors subcompact and it's the only vehicle in that class currently built in the United States. When thinking about cars, there are two words that might strike you numb with fear: Chevrolet subcompact. They bring up images of the Aveo, a truly awful little car that, up to now, has been GM's entry in the really-small car market. 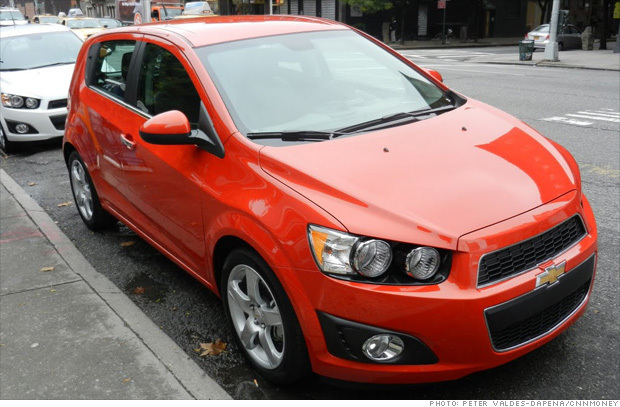 At last, the Aveo has been replaced by the Sonic, a car that is much, much better in every respect. Of course, that alone isn't saying much. Really, hitchhiking would be better than driving an Aveo. But the Sonic is also better than cars like the Honda Fit and the Hyundai Accent, and that's saying a lot. While it's not perfect, the Sonic comes close and it combines three attributes that rarely come together in a car this cheap: Fuel economy, practicality and a fun. Chevy Citation, Renault Alliance, Plymouth Volare: All destined for the scrap heap and every one of them a critics pick. What were they thinking?